This web site on John Joseph Schleer, Jr., is under development. We welcome your input, stories, photographs, documents, and other resources. John Joseph Schleer, Jr., was born on August 13, 1915. John married Florence I. Slingerland, who was born in 1916. Florence died on August 10, 1968. John died on August 3, 1995. Both are interred in Lot 150, Section F, Forest Lawn Cemetery, Buffalo, New York. 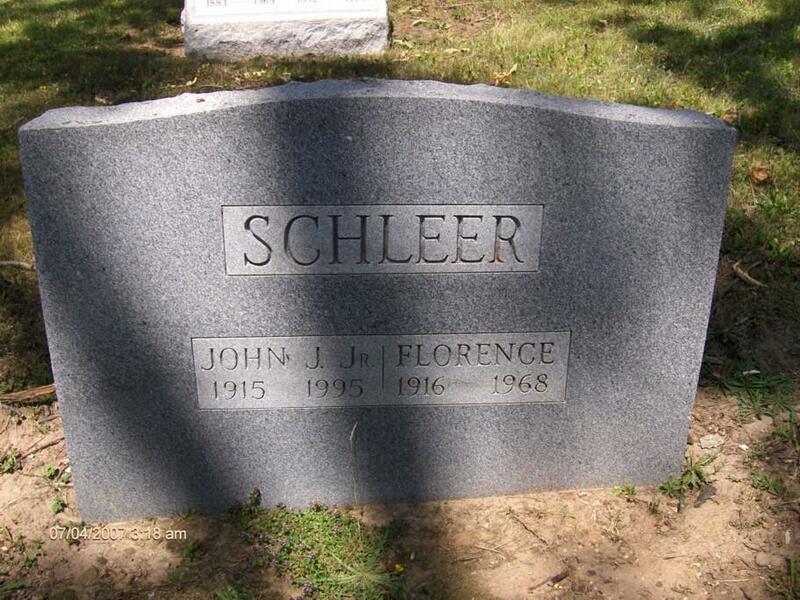 John Joseph Schleer (Schlee): Born 1885; died 1976. Alice Elizabeth (née O'Malley) Schleer: Born 1886; died 1937. 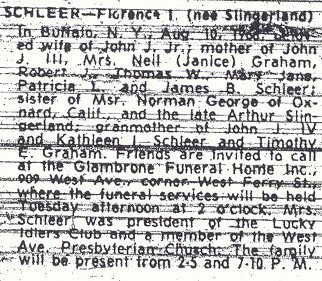 Janice (née Schleer) Graham: Living? Mary Jane (née Schleer) Walker: Living? General location of the gravesites of John Joseph Schleer, Jr., and Florence I. (née Slingerland) Schleer, Lot 150, Section F, Forest Lawn Cemetery, Buffalo, New York. 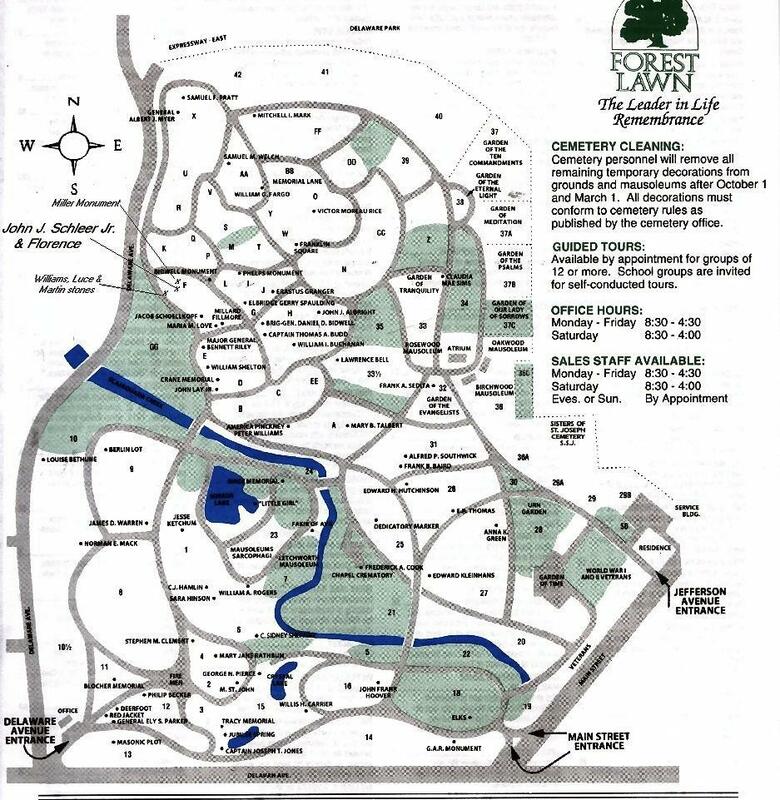 A map to locate their gravesites at Forest Lawn is available here. 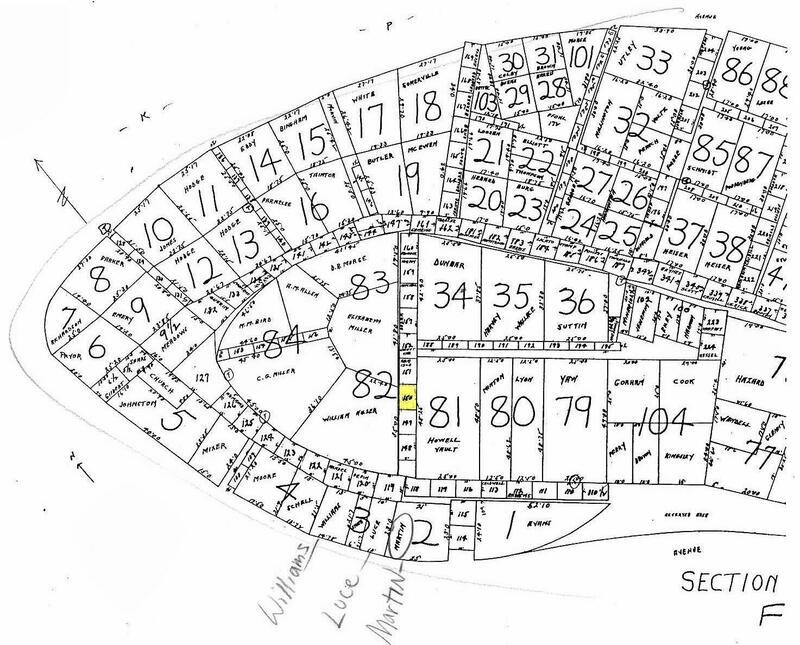 A detailed cemetery plot map of Section F is available here. Graves of John Joseph Schleer, Jr., and Florence I. (née Slingerland) Schleer, Lot 150, Section F, Forest Lawn Cemetery, Buffalo, New York. Obituary: Florence I. (née Slingerland) Schleer, died August 10, 1968. 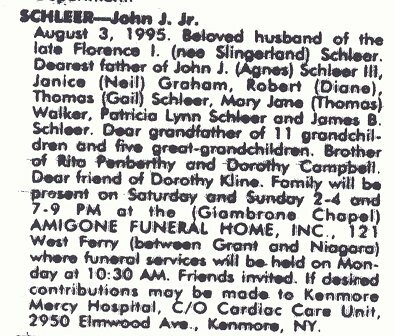 Obituary: John Joseph Schleer, Jr., died August 3, 1995. 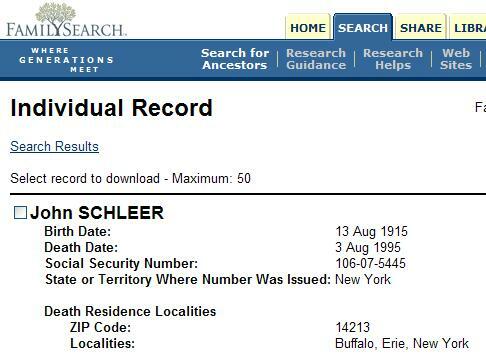 Social Security Death Index: John Joseph Schleer, Jr.; born August 13, 1915, died August 3, 1995. 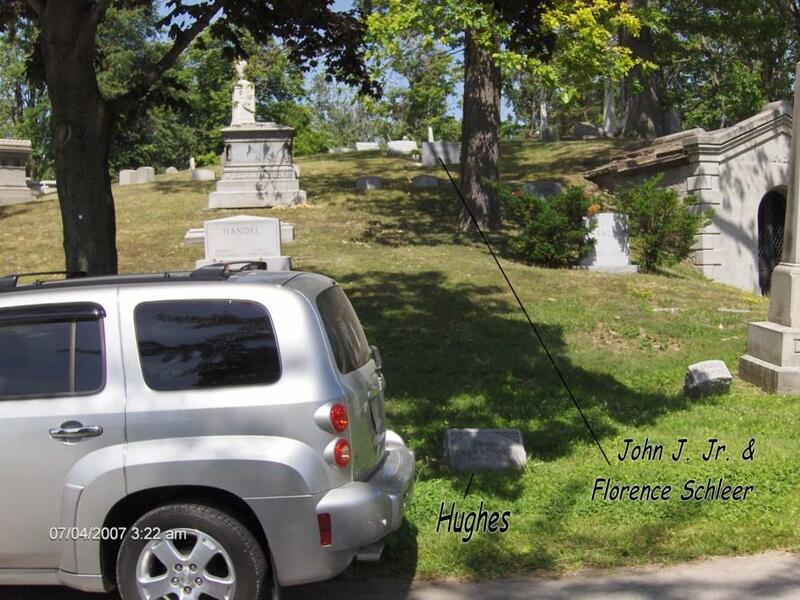 Cemetery Plot Map: Graves of John Joseph Schleer, Jr. and Florence I. (née Slingerland) Schleer, Lot 150, Section F, Forest Lawn Cemetery, Buffalo, New York.